Coated, low noise polypropylene packaging tape, smooth, silent, slow release. 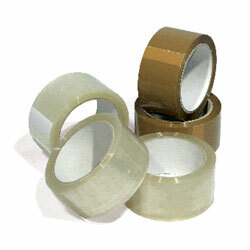 A high quality economical general purpose tape, ideal for sealing cartons. Water based acrylic adhesive . Rolls fit standard tape dispensers.